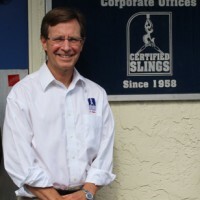 Funded in 1976 by the U.S. Small Business Administration (SBA), the Florida SBDC Network, one of eight original SBDC pilot programs, successfully links the state’s education system with community outreach to aid in the development and education of the state’s entrepreneurs and small business community. Starting with only two service centers in the first year of operation, the Florida SBDC Network has grown to a statewide network of more than 40 centers involving universities, colleges and other economic development partner organizations. Additional outreach is provided at approximately 50 circuit rider locations utilizing resource partners such as chambers of commerce, economic development councils, banks, etc. Today, the Florida SBDC Network is one of 62 SBA-funded SBDC programs, with locations in every state and U.S. territory. Accrediting nationally through the Association of SBDCs by Congressional mandate. The synergistic effect of this partnership program has resulted in many years of positive revenue growth for the state, an impressive Florida SBDC Network return on investment and multiplied success for Florida’s small business community. The foundation of Florida’s economy is 99% small business – the Florida SBDC Network serves as their primary provider of business assistance.